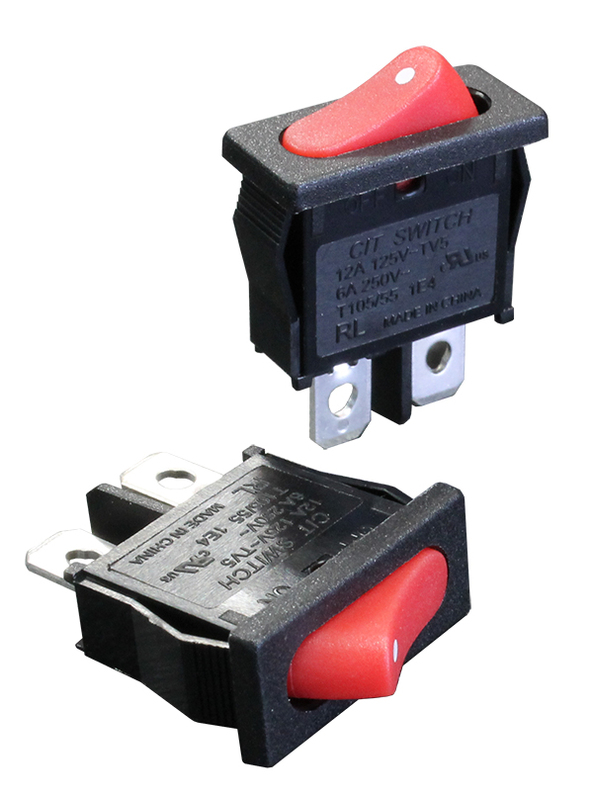 The RL Series single pole rocker switch is sub-miniature in size. 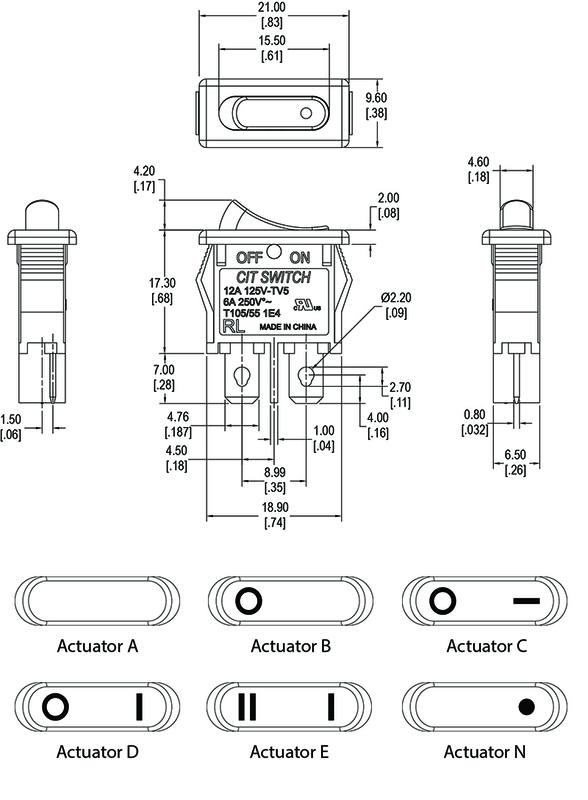 Multiple latching options are available with quick connect/solder lug termination. Switch function is Off-On or Off-(On). The versatile RL series sub-miniature rocker switch offers multiple housing color, actuator color, and actuator marking color choices.